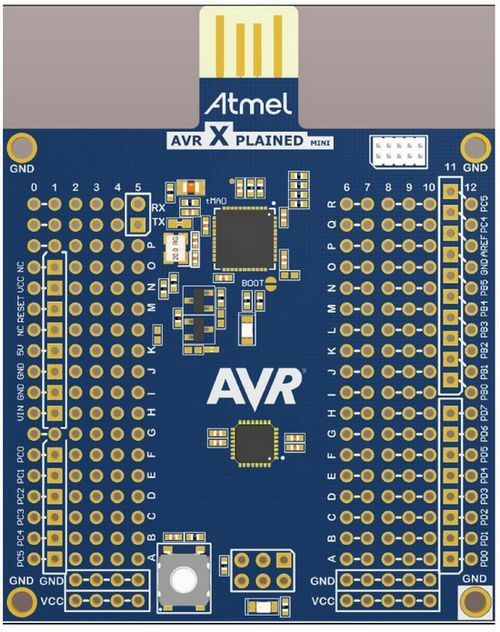 The ATMEGA168-XMINI - Atmel ATmega168 Xplained Mini evalutation kit is a hardware platform for evaluating the Atmel ATmega168 microcontroller. The evaluation kit comes with a fully integrated debugger that provides seamless integration with Atmel Studio 6.2 or later. The kit provides access to the features of the ATmega168 enabling easy integration of the device in a custom design. On-board debugger with full source-level debugging support in Atmel Studio. Access to all signals on target MCU.